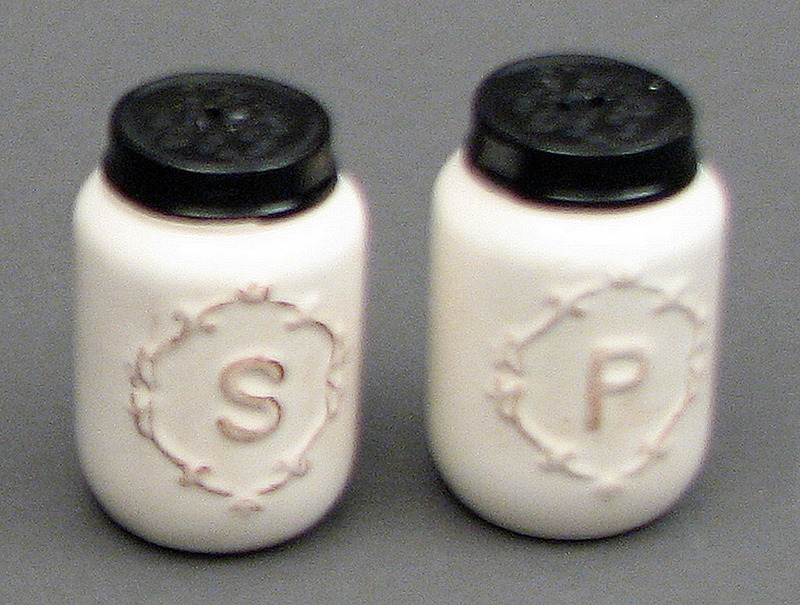 Measures: Ceramic salt and pepper each shaker has a rubber stopper in the bottom for filling. Hand washing recommended. This set matches the 049-15185 Canister set and the 049-15652 stackable measuring cup set. Great for any kitchen décor. Item priced single, to help volume buyers they come inner pack of 4 sets. Measures 1.75"W x 2.75"H.